Formula One teams will continue to use Pirelli tyres exclusively for the next three seasons, the Italian tyre manufacturer confirmed today. Following the World Motor Sport Council’s decision to confirm Pirelli’s status as F1’s sole tyre supplier, Pirelli and the FIA have agreed terms for a three-year contract. There have been some issues with Pirelli’s tyres over the past three seasons, and those can at least partly be attributed to the limited amount of on-track testing available to Pirelli. As such, there have been some changes made to the sporting regulations ahead of the 2014 season to ensure that Pirelli can develop a safer and more competitve product. Firstly, one of the 12 pre-season test days will be dedicated exclusively to the testing of Pirelli’s wet weather tyres. Presumably that means Pirelli will wet the track if the weather does not do it for them on that day. It’s not unusual for tyres to be tested on an artificially wet track – Pirelli has been testing their wet tyres in this manner since becoming F1’s sole tyre supplier in 2011. The difference this season is that the wet testing will be done with current F1 cars, whereas previous seasons have seen tyre testing only on F1 cars that were no longer current. Secondly, each team will be required to allocate one of their eight in-season test days to tyre testing. That way, Pirelli and the teams will be able to concentrate on tyre development during the season, where this has not previously been the case (with one notable exception in 2013 following some spectacular tyre failures). 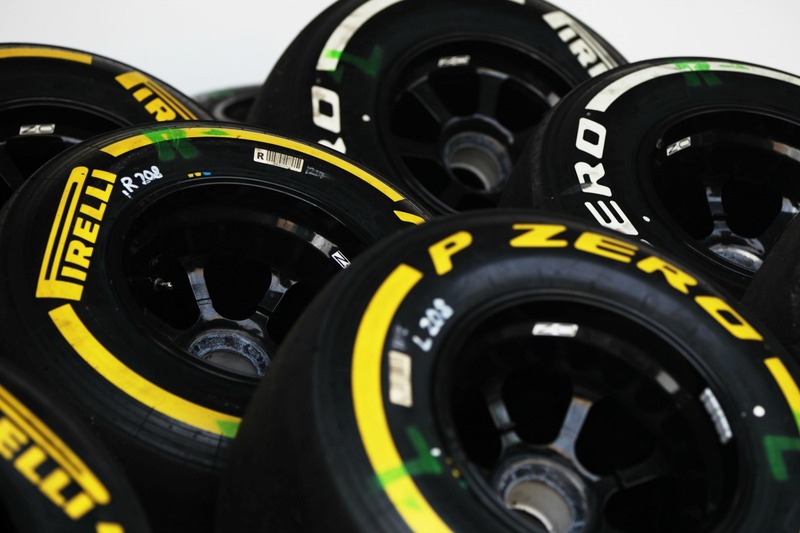 The teams will choose their in-season tyre test days in such a way that at least one team is tyre testing on each of the eight days, and no more than two teams will be tyre testing on the same day. The 2014 season provides Pirelli with their greatest challenge yet in Formula One. The change in engine formula for this season from naturally aspirated V8s to turbocharged hybrid V6 powerplants will result in the engines producing significantly more torque than before. The additional torque will place extra stress on the rear tyres, which will have to be designed to handle the increased loads. The majority of Pirelli’s 2014 tyre development should be completed by now, as pre-season testing begins in Jerez, Spain on 28 January, which is just 12 days away. In addition to their work as F1 tyre supplier, Pirelli have announced that they and the FIA will discuss a possible partnership on the FIA Action for Road Safety campaign.